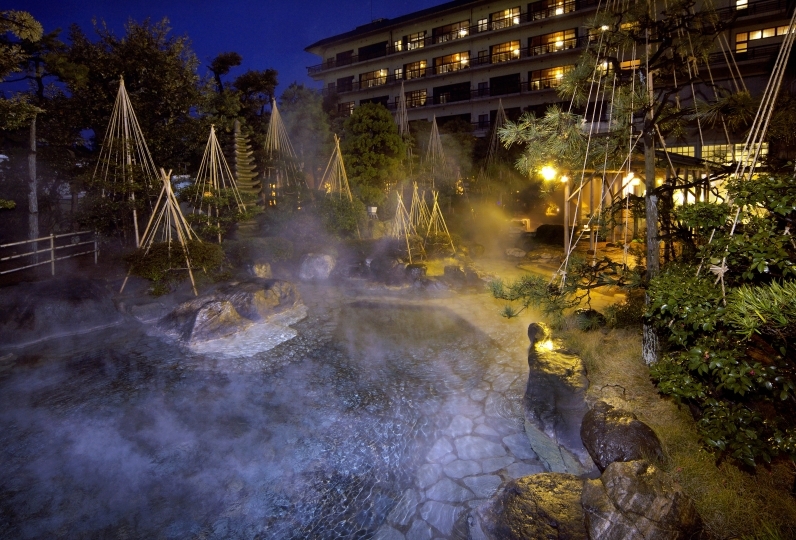 Awara Onsen is the Hokuriku region's top onsen resort area. 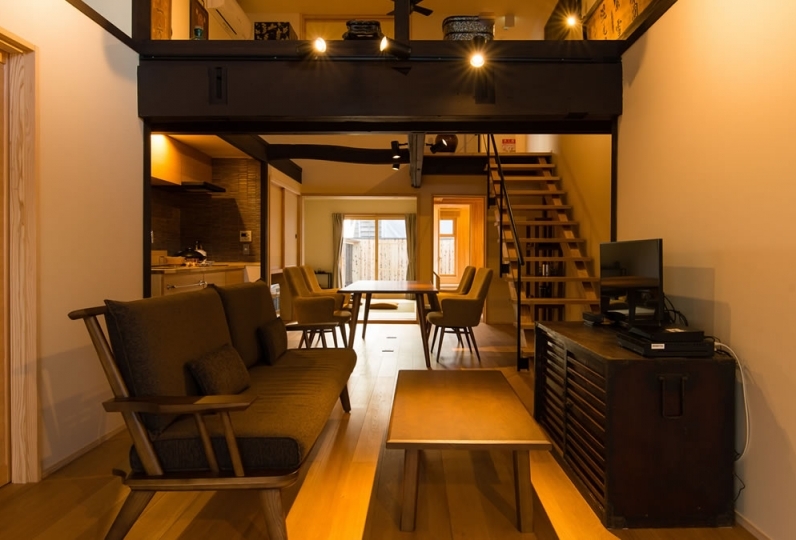 Located in the center of Awara Onsen is 「Hotel Yagi」, where we greet our guests with our motto of "Freely, comfortably", to ensure that our guests can enjoy a comfortable stay without feeling burdened by others. We are proud to present our Japanese garden that can be viewed from the lobby. At night, the garden is lit up, providing a magical atmosphere. Our guest rooms emphasize privacy and provide a spacious, traditional Japanese atmosphere. Enjoy a comfortable stay with no interruptions. For dinner, we present our famous vegetable buffet prepared with seasonal ingredients. Enjoy a variety of cuisine prepared with fresh vegetables sourced from local farms alongside dishes such as wagyu roast beef that has been cooked over charcoal. We also offer desserts made by our exclusive pastry chef. Try our locally produced and locally sourced flavors that guests of all ages love. 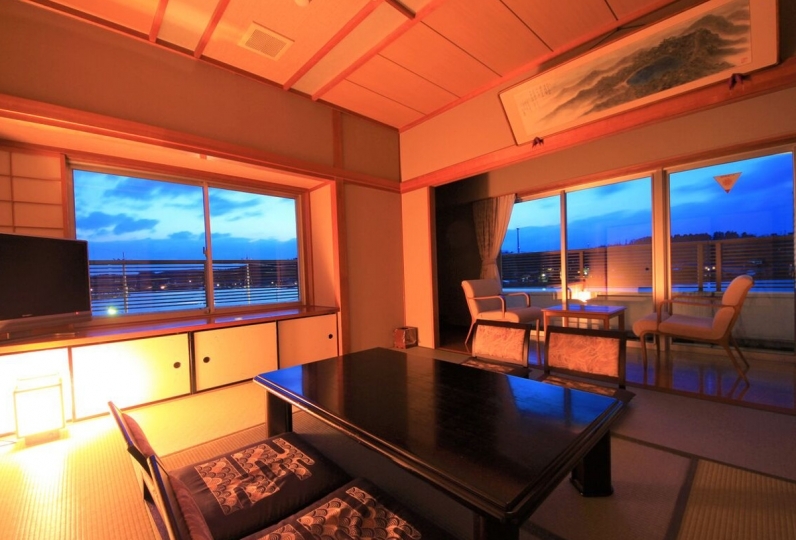 Experience this kind of ryokan stay at Hotel Yagi. At the time of the reservation "Since you do not get service from the rice to the extent that it does not work, please take a look at the tolerance!" Because it was a kind of feeling, the shop open only in the morning due to dirt in the room, built-in glass breaks, There was not much shock in not having it. The rice was satisfied more than I expected. Despite the small buffet corner, if you run out of stock it was solidly making extra outings without waiting. Shampoo Viking of unexpected bathroom was very happy. But how is payment for cash only now? The breakfast, there were many kinds, it was delicious. I also had plenty of dinner. The bath was also good. Thank you very much. Hotel Yagi's famous homemade vegetable buffet restaurant. Our hotel's buffet concept is that there is "no menu". The reason for this is that we focus on 「seasonality」. Our head chef uses his skills to prepare 「seasonal」 ingredients in the best possible way. Our buffet serves dishes that are of restaurant quality and style. This "ideal" buffet is what Hotel Yagi strives for. The buffet consists of a variety of dishes prepared with an abundance of fresh vegetables! Of course, in addition to vegetarian dishes, we also offer dishes such as hand carved roast beef cooked over charcoal and fresh seafood from the Japan Sea. We also offer handmade sweets by our exclusive pastry chef. Try our all natural buffet of healthy foods that guests of all ages can enjoy. At Hotel Yagi, we are unique from other onsen ryokans in that we have an Italian chef as well as a pastry chef in addition to a Japanese chef. Enjoy an exciting and fresh cuisine that you can't find in a standard ryokan. Hotel Yagi's buffet is different from other big name hotels in that our cuisine is all hand prepared with no additives. We take pride in the meticulous preparation of our dishes which are all freshly made and healthy. In addition to out of town guests, we have many local guests who frequent our inn for overnight stays and day trips. These repeat guests are a testament to the quality of our service. One of the features of Hotel Yagi's buffet is that there is no time limit on your dining experience. Enjoy your meal when you want, eat what you want, and eat as much as you like, true to our motto of 『kiganenaku, kokochiyoku』. Our onsen is kept between 30~60º and we draw the water at 120L per minute, which is at the higher end in Awara Onsen. We carefully mix the high temperature onsen water and low temperature onsen water to provide the perfect temperature for our communal bath. In other words, our onsen is extravagant in that it uses onsen water to cool onsen water. While our onsen is spring-fed throughout the night, we do also utilize a filtration system in order to remove any impurities and debris from the water and to keep the baths clean. Additionally, although we do not add water to our onsen, we do heat the water during the winter season. We offer an indoor bath, outdoor bath, as well as a sauna. In our lobby, we offer a free drink bar that you may frequent as often as you like. The hours for the free drink bar are 【15:00~21:30】 and 【7:00~11:00】. Please note that we do not accommodate group parties and therefore do not offer banquet room・karaoke・ping pong・game center type of facilities. We also do not offer spa services. We have a gift shop on premises. The gift shop hours are 【Mon~Fri 8:00~12:00】 and 【Saturday: 17:00~21:00 and Sunday 8:00~12:00】. At Hotel Yagi, we want our guests to enjoy a relaxing stay where there are no burdens placed on them and they can spend their time leisurely doing the things that they want. In order to provide that experience, we have simplified our services and facilities and do not offer any superfluous additions to your stay. 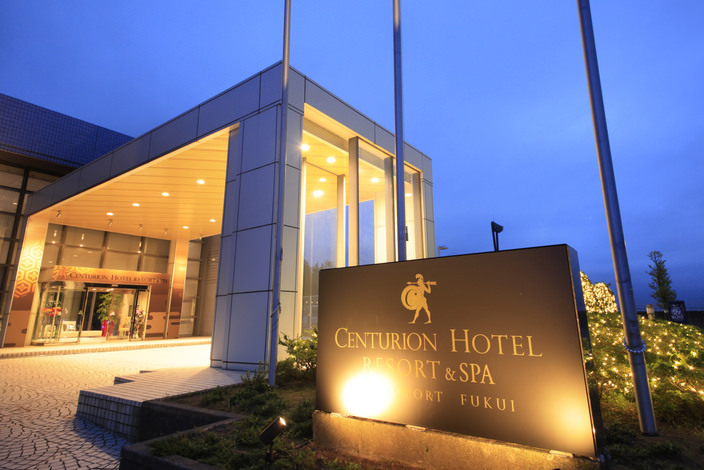 We do not have any reception staff nor do we offer banquet room・karaoke・ping pong・game center type of facilities. In order to let our guests enjoy their stay without interruption, we also set up the futons in the guest rooms prior to your arrival. For meals, enjoy both breakfast and dinner eating just the dishes you like and as much as you would like with our buffet style dining. Made in-house and with a focus on seasonality, our mostly vegetable based buffet is unlike the kaiseki cuisine or standard dishes you find everywhere else. This is the perfect hotel for that type of guest. This hotel operates under the motto of 「Freely, comfortably」 to ensure that guests enjoy a comfortable stay without feeling burdened by others, and offers a place for our guests to forget about time and simply relax. To that end, we keep our guest services to the bare minimum. If you are looking for a full 「omotenashi」 hospitality experience, this hotel may not be for you. This may be a hotel that guests will either 「love」 or 「hate」. Please ensure that you fully understand the concept of this hotel before you make your reservation. A bath use tax of ¥150 is not included in the rate.